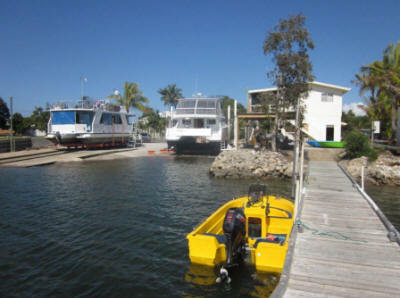 Situated on beautiful Snapper Creek, Tin Can Bay Slipways caters for monohulls and multihulls. This popular site has recently undergone major renovations. Maintenance & Repairs - Our team provides expertise for your maintenance and repair needs. Product - We also carry antifoul and other marine paints as well as painting accessories, fibreglass materials and anodes. Bundaberg Slipways - providing similar slipping services in the town reach of the Burnett River. Midtown Brokerage - boats for sale in and around Bundaberg & Tin Can Bay.